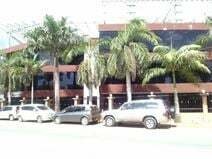 With a range of flexible office space this business centre is located in the heart of the Masani District, one of the most prestigious business areas in Dar er Salaam. Nearby consulates and embassies help to create a unique international feel to the area. The centre has access to an array of amenities that can help your business succeed and expand in this vibrant area. There is onsite reception services, kitchen, lift, meeting rooms and break out rooms. Found between two of Dar Es Salaam's most affluent areas, Masaki and Oysterbay, this business centre is strategically located in a prestigious neighbourhood which is home to several large organisations. The centre offers a variety of facilities which all workspaces benefit from - whether you are looking for a single desk or a private office for your team. All offices come beautifully furnished and fully equipped with everything you need. The centre also benefits from excellent access to the central business district. One of the tallest buildings in Oysterbay and currently home to global oil & gas companies, NGOs and private companies the space provides a 360 degree view of the Indian Ocean and the Marina through large windows. 10 minutes from the city centre and 20 minutes from the international airport. The centre boasts a multitude of helpful amenities such as kitchen, lift, reception services, high speed internet and an array of support options through the onsite management team and administrative support team. Meeting rooms and videoconferencing facilities are available for your business to remain globally connected. With a fantastic selection of office spaces, this modern building is located right beside Coco Beach and a vast range of local amenities within walking distance. Offices are fully equipped and modern, with affordable rates starting at 400 USD, inclusive of amenities on-site such as access to a board room, high speed internet, support from staff and 24 hour access. The building offers secure car parking on-site. 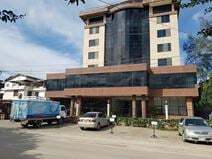 Found in a highly sough-after area of Dar es Salaam, this business centre is in a convenient location for both you and your business. With a range of local amenities within walking distance, you will have everything you need during your working day right on your doorstep. A shopping mall can be found just around the corner which offers a range of shopping options, supermarkets and leisure activities. Coco Beach is only a 5-minute walk away and is a great place to take a break. The centre offers fully furnished offices with a customisable layout to suit your needs. You will also have access to a meeting room and with 24 hour access you can work around the clock whenever you want. Within walking distance from the world"s embassies between the CBD and the Peninsula, this modern glass and brick building provides co-working, open-plan and private office space, along with a range of meeting rooms. 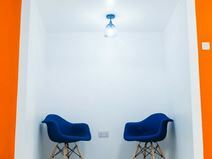 The offices are complete with air-conditioning and there is a host of useful amenities at hand such as kitchen, reception and high speed internet available for your business to continue developing. This centre has an array of useful amenities for your business to develop and grow such as 24-hour access, high speed internet, meeting rooms and a large amount of helpful support available through the onsite staff who are present 7 days a week and the administrative team including a reception desk who can deal with any issues that arise with high levels of professionalism. This centre is perfectly situated between the high-end residential district of Masaki and the financial district, making it an ideal location for conducting business. Furthermore, this office space is strategically located by Salendar Bridge and provides effective and efficient business accommodation. Located in the north of the Msasani Peninsula this area is known as Sea Cliff. Here you will find a range of modern and innovative offices which provide you with a professional and fully functional workspace to be productive and thrive with your business. You are only a stone's throw away from the ocean, including a range of amenities such as the Dar Es Salaam Yacht Club and Coco Beach. The centre benefits from excellent public transport links including basement car parking. Workspaces are equipped to the highest standard and will provide you with everything you need for your working day. A centre that would suit both start up companies and experienced corporations. It offers a wide range of offices that come in a variety of different sizes and can be personalised to boost the portfolio of the business. 24 hour security is available with CCTV and intercom systems. Meeting rooms can be booked by the hour and well trained staff are there to ensure that the day to day running of the centre goes smoothly. High speed internet and day to day cleaning of the office are all supplied too. Situated in one of the most business friendly parts of Dar es Salaam, the centre offers great versatility for business networking with numerous companies being close by. There are several bars and restaurants in the proximity all offering a good social life. Julius Nyerere International Airport - Terminal I is the main access to international travel and the main roads offer an easy commute for those going by car. Furnished office in a professional and mature commercial setup with elegant office space, first-class furnitures, secure internet access, fully-equipped meeting/interview rooms, an advanced audio-visual technology and dedicated administrative support services. 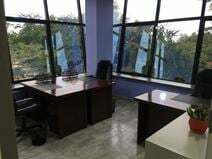 It is located in a desirable business district of Dar es Salaam and surrounded by headquarters of international companies, many embassies and financial institutions. This is a modern serviced office centre offering a variety of flexible workspace solutions for one person up to thirty. The centre also offers breakout space, air conditioning, secure parking, spacious meeting rooms and videoconferencing capabilities. This professional working environment enjoys good facilities and a variety of local shops and eateries a short walk away. It is also served by excellent transport links.